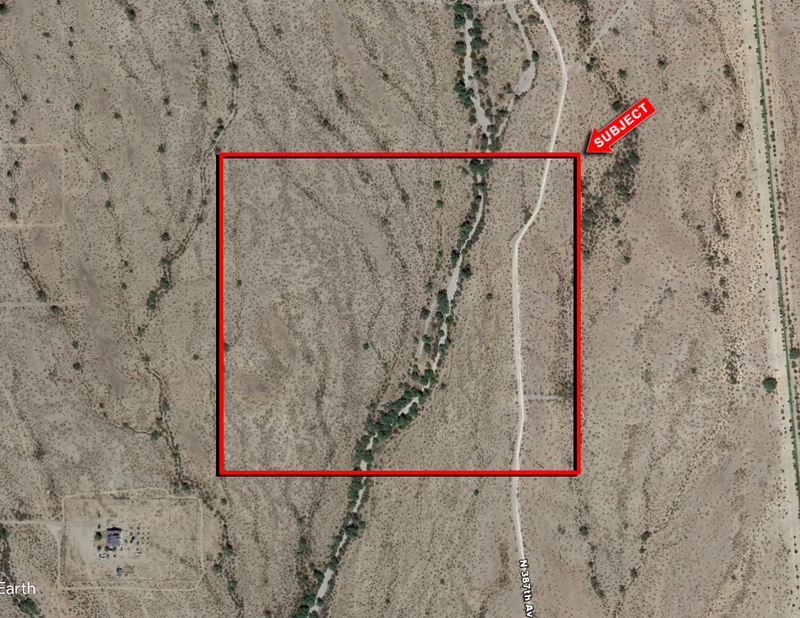 Property is North of the Northwest Corner of 387th Ave and Northern Ave, Maricopa County, Arizona. Property is just off pavement to the South. Power is in the area, serviced by APS. Excellent investment or 1031 exchange. Seller will consider a terms sale with 20% down payment.